Hard Rock Hotel at Universal Orlando’s newly redesigned Future Rock Star Suites are designed to capture the excitement of being on tour. 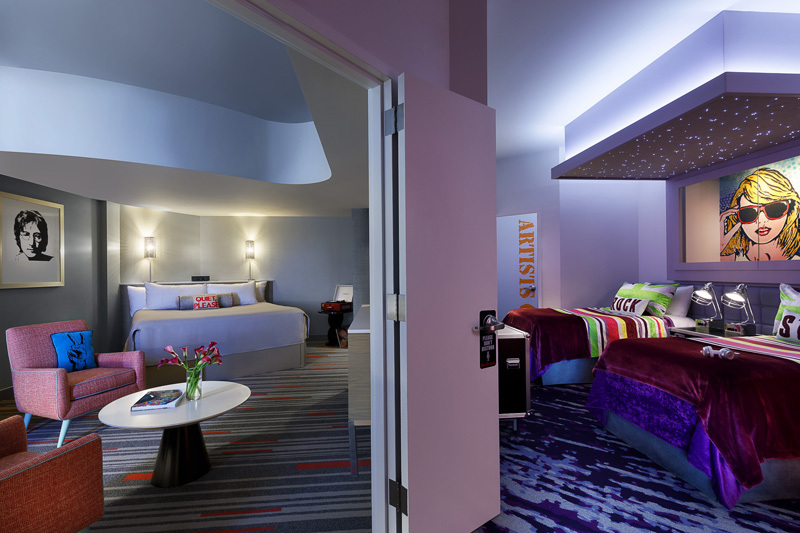 These 2-room suites feature a stage with liquid flooring and lights, a twinkling starlight canopy over the beds and brand-new Hard Rock memorabilia from today’s superstars. Each suite features an item once donned by a music celebrity and this marks the first time memorabilia has been installed inside a guestroom at Hard Rock Hotel at Universal Orlando. Every Future Rock Star Suite consists of a king room that connects through a “stage door” to a room with two twin beds and roadie case-inspired furniture. 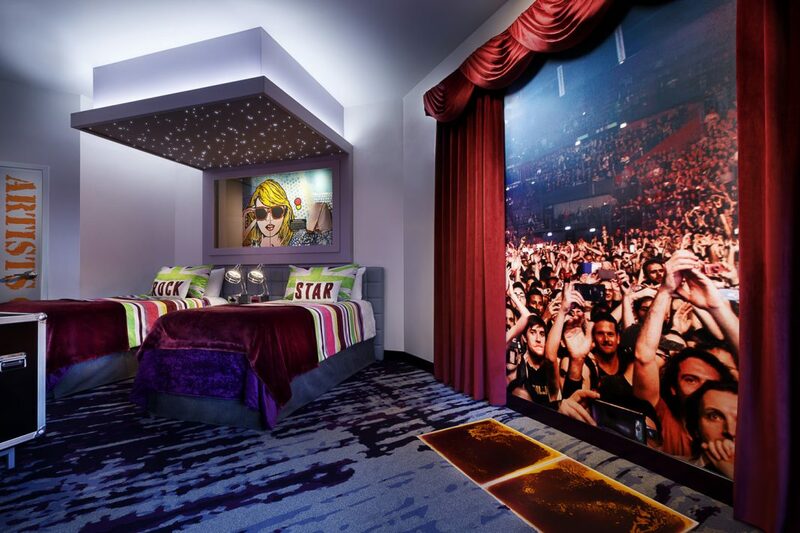 “We designed these suites for tweens, teens and any kid who ever dreamed of performing on stage for thousands of adoring fans,” said Carlton Hudson, managing director at Hard Rock Hotel at Universal Orlando, in press material. Split view of the suites. 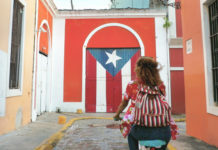 For more information, visit universalorlando.com/hardrock.